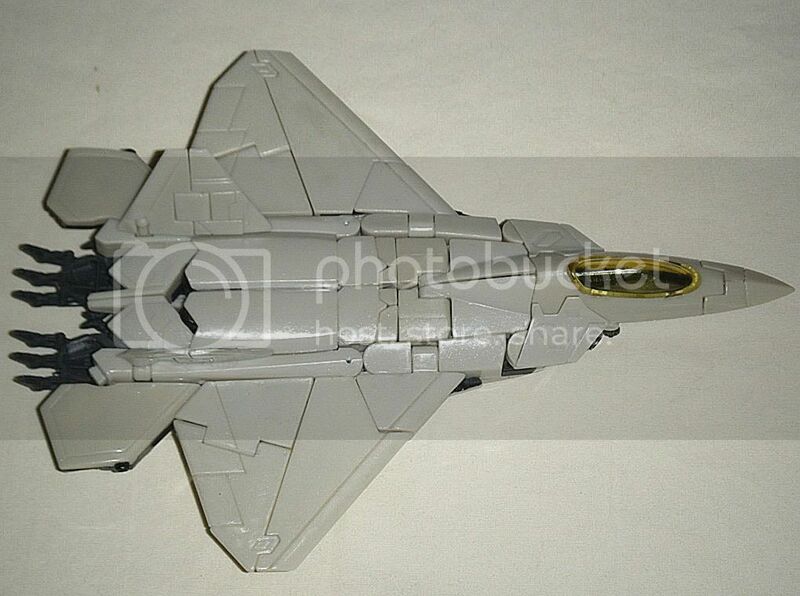 Customs: Dyeing HFTD Voyager Starscream white(er)? Discussion in 'Creative General Discussion' started by OmarJT82, Jul 25, 2010. Is it possible to dye it in any of these RIT products (Color Brightner, Color Remover, Whitener and Brightener, or White-Wash) in order to turn it from beige-white to pure white so that the color will seep in better? My goal here it to give this one the same color scheme as 2007 Movie Voyager Thundercracker! The other 2 will be give the same color schemes as ROTF Voyagers Ramjet & Skywarp! From what I understand it is only possible to make things darker with dye. Thats just from what I've read here though, I've never tried. But put a primer on the figure before you apply colour and it should come out quite well regardless, he's not very bright as is. Nice ideas, any plans to swap heads? or going for a straight repaint? I'll be using RIT color dyes to recolor them in the respective colors! I have already figured out a way to make the nosecone of HFTD Voyager Starscream's alt mode removable and modify his robot mode head so that that nosecone will double as his crown/helmet. I just need to find a way to keep it in place so it won't fall off! For Thundercracker, I'll use a pic of ROTF Voyager Starscream to draw them up on paper so that they will be the same size as that head and look like the head from 2007 Movie Voyager Thundercracker. The same will go for Skywarp, but his head will be draw with some differences to differentiate his head from Thundercracker's. Once those drawings are complete, I'll either post them on the "Request" sub-forum of the "Creative Marketplace" forum so I can commission someone to mold the heads for me using the drawings or directly call on someone I dealt with in the past to mold the heads using the drawings. Get white vinyle dye in a spray can. Duplicolor makes some, but it's hard to find. I ordered it online several years ago. I've never seen it on a shelf. You apply it like paint, but it has the same affect as dye. Give it a week to cure, and you can't scrape it off.